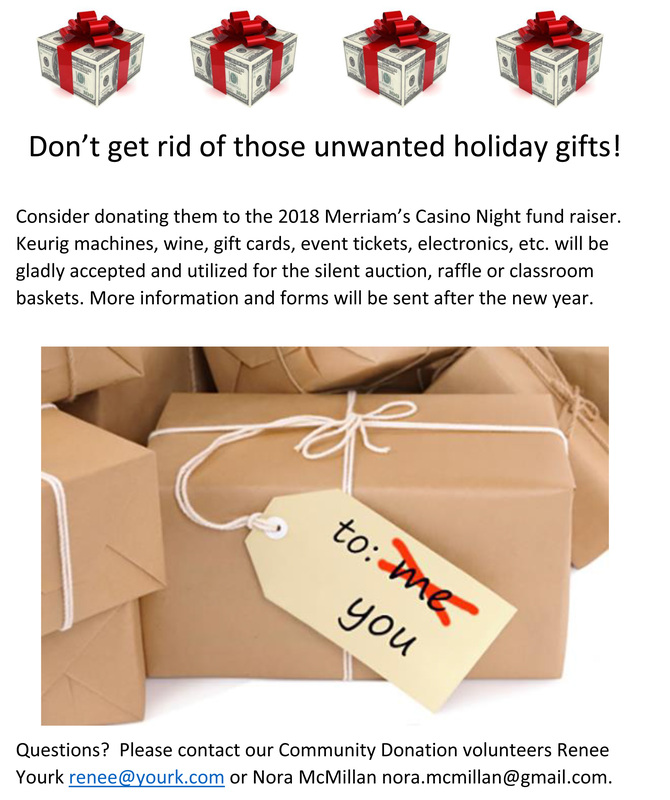 Don’t get rid of those unwanted holiday gifts…Consider donating them to the 2018 Merriam Casino Night fundraiser! Don’t get rid of those unwanted holiday gifts! Consider donating them to the 2018 Merriam’s Casino Night fundraiser. baskets. More information and forms will be sent after the new year. Yourk renee@yourk.com or Nora McMillan nora.mcmillan@gmail.com. Please take a moment to fill out our online volunteer interest form!